Trina Solar, a leading global total solutions provider for solar energy, announced its four new series of modules, to meet the diversified needs of PV applications in multiple scenarios. By using innovative integrated technologies, the maximal output of new series of modules has been 415 watt (415W) in mass production, representing the successful commercialisation of high-output modules, said a statement. The four new series of modules include Honey, Tallmax in high efficiency series, Duomax in dual-glass series, Duomax Twin in double-side series, and Honey black M in aesthetics series. The high efficiency series can be used in multiple application scenarios like utility scale ground mount and distributed PV projects. An increase in the output of modules from 370W to 415W will help reduce the balance of system (BOS) cost by 4.5 per cent to 8.5 per cent, and reduce levelised cost of electricity (LCoE) by 2.5 per cent to 4.6 per cent. The dual-glass series features high reliability in extreme conditions, five-year extended warranty for linear power, and more power generation with lower power degradation. The double-side series provides extra 5 per cent to 30 per cent power generation by its back side, features high power generation in snowfields and locations where sand is plentiful, among other high-reflection environments. The aesthetics series is designed especially for the high-end residential market with its aesthetically-designed black-out look. “It remained true to the brand's legacy of creating high-output, highly reliable and high power generation of solar modules, providing our customers with a higher value products. Meanwhile, the launch of new series were also backed up by our strong supply capacity to meet the growing needs,” Rongfang added. The new modules deliver a unique integration of MBB, double-glass, dual-side and half-cut technologies. The majority of firms that seek to enhance their presence in the MBB segment are frequently stymied by the lack of skill sets and equipment as well as patents for their technologies. Trina Solar, on the other hand, has developed state-of-the-art MBB processes that have been applied in the mass production of modules since August 2017. The company has to date been granted 24 patents for MBB-related technologies, it also has China's first generation innovative MBB cell series welding equipment and new round solder strips. With deep experience in the application of the double-glass technology, Trina Solar, one of the first companies to facilitate the production of double-glass modules around the world, has 28 patents for technology in this field. It is also the first firm in China to receive certification for its double-glass technology from TUV and to commence mass production. 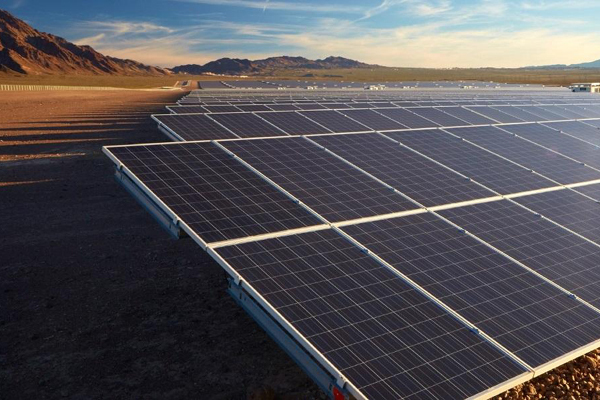 Trina Solar has shipped nearly 3 GW of double-glass modules worldwide, leading its domestic peers.